The Xperia S packs a 4.3-inch HD Reality Display with a 1280 x 720-pixel resolution, a 12-megapixel camera capable of recording 1080p video, a 720p HD front-facing camera, 1GB of RAM, up to 32GB of storage and a dual-core 1.5GHz Qualcomm MSM8260 processor. The Xperia P is equipped with a 4-inch 960 x 540-pixel display, an 8-megapixel camera, a front-facing camera for video chat, 1GB of RAM, up to 16GB of expandable storage and a dual-core STE U8500 processor clocked at 1GHZ. The Xperia U offers a 3.5-inch display with an 854 x 480-pixel resolution, 512MB of RAM, up to 8GB of internal storage and a dual-core STE U8500 processor clocked at 1GHz. Sony is launching all of the phones with Android 2.3 Gingerbread, but says that each will be upgradeable to Android 4.0 Ice Cream Sandwich. This seems awfully silly of Sony, considering that Android 2.3 Gingerbread is now two generations old. Consumers are already ready for the latest Android 4.1 Jelly Bean operating system and no longer seem to care much about phones being "upgraded" to ICS at a later date. My advice: wait for Jelly Bean phones or buy an unlocked Galaxy Nexus, which costs less than the high-end Xperia S.
What: To continue offering customers the best connected entertainment experiences, Sony Mobile Communications (USA), Inc. brings the next generation smartphones from Sony – Xperia NXT series – comprised of the Xperia S, Xperia P and Xperia U. Incorporating the best of Sony technology and premium entertainment, the Xperia NXT series provide easy connectivity. These smartphones also have an instantly recognizable design with the "transparent element," a band that encircles the base of the phone and also integrates invisible antenna components. The transparent element illuminates when receiving calls, texts and notifications. 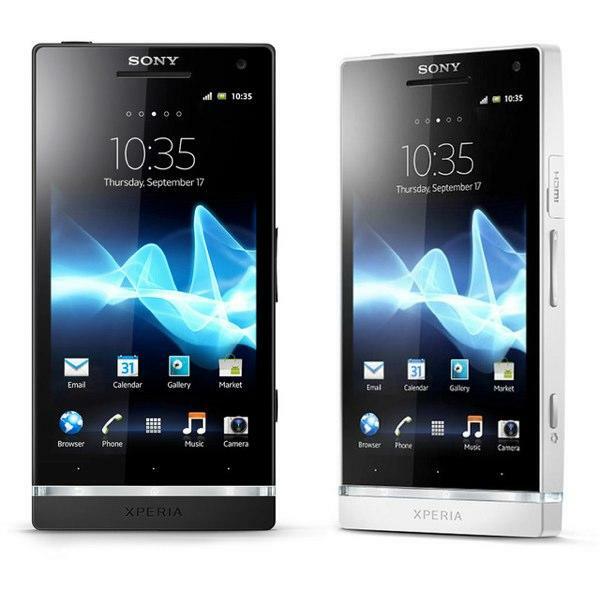 Xperia S combines an amazing HD experience with an impressive viewing experience through the high resolution 4.3 inch display with Mobile BRAVIA® engine, a 12 MP camera that takes pictures in just 1.5 seconds from standby. With a full aluminum unibody design, Xperia P debuts WhiteMagic™ display technology from Sony for the first time on a smartphone. WhiteMagic technology delivers the brightest viewing experience; whether at the beach or on the ski slopes. Smart power efficiency automatically adjusts the brightness of the screen to the surroundings to conserve battery life. Xperia U combines powerful Sony entertainment with a stylish and compact design that consumers can personalize inside and out. In Xperia U, the transparent element illuminates to match the color of photos viewed in the gallery or the album art of music tracks currently playing. Xperia U can also be personalized with exchangeable color caps and themes. With xLoud and Sony 3D surround sound audio technology integrated into the music player, consumers will enjoy a crisp and loud sound experience. They can also stream music from their Xperia U to wireless speaks using DLNA. The Xperia NXT series is now available in the US at Sony stores nationwide and sony.com/NXT, Newegg.com and other online retailers. Please check with each retailer for additional pricing and availability. The Xperia™ NXT series are compatible with the network bands below.